I have to say that this 30 Dream Days Challenge is getting me to realize that even though I sometimes focus on what I don’t have or what I haven’t achieved yet, I really am living a dream already. I have everything and everyone I need. In 2002 I was a single lady living just outside NYC. I had grown up in Queens, then lived in Manhattan and had bought my first co-op apartment in Rockville Centre, Long Island. I sold that one to move next door into a bigger unit and things were good. I had a “great job” and I owned my own place and car (or at least a significant portion of…the bank owned the rest). I had finally graduated college by going at night and my 15 year old sister was living with me to go to a better high school than John Adams back in Queens. Then I met Chris and everything changed. He was so charming and like no one I’d ever met. So I fell in love. Hard. I got laid off from my job (by my request to save someone else’s job) and sold my place and moved to Connecticut. 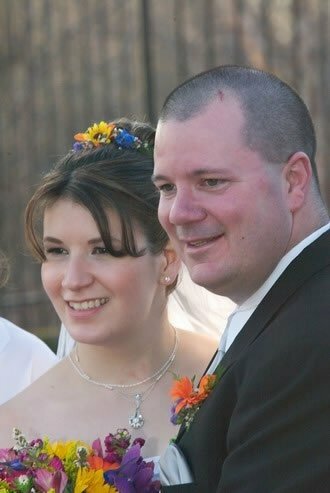 Chris & I were married on 4/12/03. Chris was a single dad of 3 kids when we met. 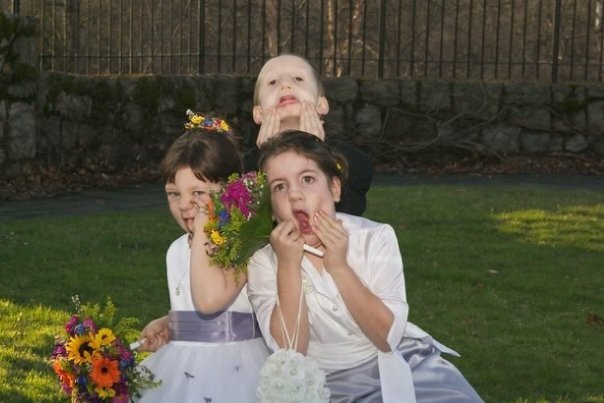 Krista was 6, Aaron was 5 and Faith was 4. I fell in love with those 3 even harder. They welcomed me into their lives and we became a family. For anyone who knows my husband & I, we are determined to use our marriage to inspire others. We have encountered some rough years but we made it through and now we travel around presenting marriage seminars for Laugh Your Way to a Better Marriage determined to spread hope and eliminate divorce. I have learned so much by being a wife and mother. I really had no idea what love was before these 4 people made me part of their family. I loved my mom and my sisters. I loved my dad and still miss him even though he died when I was 10. But it was through the relationships with my husband and my kids that the LOVE of 1 Corinthians 13:4-8 became so very real to me. Living and loving like that is the dream of a lifetime. It was the dream of my 20’s, probably even my teens. It has not come easy. Love like this is frequently a 2 way street, but not always. Because I am not always patient and kind. I am sometimes self-seeking and easily angered (usually when I am stressed an exhausted but notice that these caveats aren’t in the verse). How can I ever “learn” my way out of this existence? I can’t learn my way out. I have to love and be loved out of it. This family and life of mine doesn’t look exactly like I thought it would, but it feels so much better than I could have predicted. So as I continue to dream of my future, I have this amazing love surrounding me. I know it can and will grow stronger as the years go by. I also know that it is exceedingly abundantly above all that I could ask or think. And so even though I believe in the power of dreams, I believe the Power of God is greater than that. I’m blessed because I can have my dreams and God too. For my brothers and sisters out there who do not have an earthly love like mine, if you have God…you have Faith and Hope and Love. Deep loneliness is like manure to the heart, preparing it for true love…but stinky nonetheless. Prepare your heart.